All rooms have cooking facilities, microwave, fridge, tea/coffee making facilities, TV and en-suite facilities etc... Ideal for families, tourists, students & business traveller from 1 night- 1 week or more. The hotel is ideally located on the outskirts of Southampton City Centre and is within a 5 minute drive of the West Quay shopping complex. 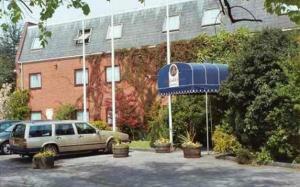 The hotel is also situated within a 5 min walk of Southampton University.